4K Ultra HD players and streaming are coming soon, so prepare for the future with this stunning TV. TheVIERA TX55AX630B features a highly-detailed 3840 x 2160 picture resolution. Missed your favourite show?. Panasonic LCD TV TX-48CX400B c/w remote. Collection in person only. Freeview Play brings live TV, catch up and on demand together in one place and all for free. Just make sure your TV or recorder is connected to the internet and you’re good to go. Our 2018 TVs (FZ / FX / FS Series) make this even easier with our unique Discovery Bar. Also Known As : 49" Ultra HD 4K HDR LED TV. 1080p 4K Ultra HD : 4K ULTRA. TV Resolution : Ultra HD/UHD - 4K - 3840x2160. Includes a 12 months warranty with Hughes. The instruction booklet may not be included. With built in WiFi, enjoy Freeview Play catch-up TV, as well as Netflix. Freeview Play. Freeview Play brings live TV, catch up and on-demand in one place. Browse BBC iPlayer, ITV Hub, All 4, Demand 5 and UKTV. 4K Ultra HD with HDR. 4K Ultra HD with HDR (High Dynamic Rnage). 4K Netflix video streaming. 4K Netflix video streaming. Definition 4K. High Dynamic Range (HDR) HDR10. HDR 10 HDR10. Great value picture performance. Back and front flap missing from remote. Collection Only from Whitechapel E1. In Full Working Order. Freeview HD tuner. The 720p HD Ready resolution ensures you receive stunning picture quality while watching your favourite shows. Freeview HD gives you access to over 60 TV and radio channels for free without subscription including HD channels such as BBC and ITV. Freesat HD is built-in to the TXP42G10 which will provide you with many hours of fun, watching over 145 popular channels. In addition, more channels are being added every month giving you unlimited options to choose from. Collection only, from BASTON (just north of Peterborough). 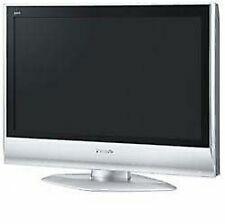 Welcome to my auction for my son’s Panasonic Viera TX-32LXD70 HD LCD Television. The TV was mainly used for gaming but is now not needed. The TV is in good used condition with everything working as it should. The TV comes complete with remote control and original instructions. The TV is for collection only from Axminster, Devon with cash on collection. Thanks for looking. 4K Ultra HD with HDR. 4K Ultra HD with HDR (High Dynamic Rnage). 4K Netflix video streaming. 4K Netflix video streaming. Definition 4K. HDR 10 HDR10. High Dynamic Range (HDR) HDR10. Great value picture performance. Excellent sharp picture. ALL FUNCTIONS FULLY WORKING. Panasonic Viera TX37LZD70 TV with remote. Good condition. No box or stand (wall mount only) Cash on collection only. (No paypal) LN4 Washingborough, Lincoln. IMPORTANT: This item is available for collection on the 4th/5th/6th May only. Please do not bid if you can not arrange collection on those days. Happy bidding. New listingPANASONIC TH-42PZ81B 42INCH PLASMA TV AND STANDS. PANASONIC PLASMA TV. 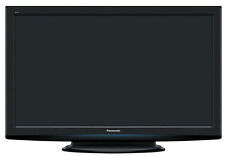 For sale is my Panasonic TH-42PZ81B plasma 1080p tv. I'll be sad to see this go as the picture quality is superb as only plasma TVs can do. This has been a great tv and works perfectly. 5 out of 5 stars - PANASONIC TH-42PZ81B 42INCH PLASMA TV AND STANDS. 1 product rating1 product ratings - PANASONIC TH-42PZ81B 42INCH PLASMA TV AND STANDS. Condition is Used. Collection only. TV in full working order. Used daily. No known faults or defects. Very good TV. Panasonic Viera TV 42" Full HD smart TV .Good condition.Cash on collect. 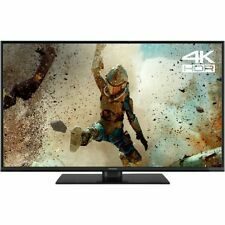 Panasonic Viera TV 42" Full HD smart TV .Good condition.Small mark right frame.. Condition is Used. Collection in person only. Cash on collect day. For sale Panasonic TV in very good order. It is about 4-5 years old. Plenty of HDMI sockets, USB and ethernet socket, plus wireless connectivity. Bought new from Currys. It was a £800 tv on release in 2013. As a result, the TV uses less power in darkly-lit conditions without any compromise of the picture quality. HD Ready LCD TV with Wide Viewing Angle and Advanced Networking Capabilities. Full HD LCD TV with Superb Image Quality, Wide Viewing Angle and Advanced Networking Capabilities. This item is collection only from New Cross, London SE14 6TW. 50 inch Panasonic Viera plasma TV. Panasonic Viera 50 inch TV. ..plasma TV with its own stand...not including glass Stan. . TV has served me well over the last few years..have a new one now...picture quality is like day one...no marks or scratches...comes with remote and booklet....collection only...many thanks. They are in excellent used condition, and the monitor has no display scratches or screen burn. This was ideal for us, as we preferred to use our PVR for viewing terrestrial channels. Condition is Used. In good clean and tidy condition and in full working order. Pedestal stand and power cable included. Hd Panasonic 32 Inch Freesat Tv. Condition is Used. Dispatched with Other Courier (3 to 5 days). No stand, now tv not included......, tv hasnt been used for a year but tested before selling,too big for sons bedroom so selling, about 5 years old but not used regularly,can delivery locally poss for fuel cost if abit further. It is not a smart TV. It works fine and is in very good condition throughout. TXL42E3B TV PERFECT WORKING ORDER. WIYH FREEVIEW PLUS MINT CONDITION. Panasonic 50" Plasma TV. Excellent screen. No stand and not original remote but definitely a bargain. Collection in person only. Panasonic has been in the electronics industry for over a century, and they produce TV screens to a high degree of clarity using Japanese technology. There is a range of flatscreen TVs that incorporate technologies like HDR and internet connectivity. 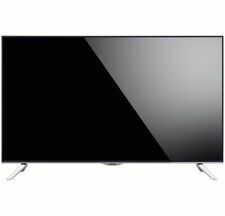 With different technologies available a range of price points, you can easily find a Panasonic TV to suit your needs on eBay. What are the different types of TVs that Panasonic produces? There are three main lines of TVs that Panasonic produces: professional display panels, OLED TVs, and LED TVs. These can be used in the office or at home for a range of different purposes. Professional display panels: These are designed to be the ultimate companion for your computer. They're great for projects and applications which require a high level of detail. OLED TVs: Made to provide a cinematic home-movie experience, OLED TVs are ultra-thin and offer 4K graphics. LED TVs: These also produce 4K ultra-HD pictures. The screens are bulkier than OLED TVs, but they are more affordable. Can a Panasonic TV mirror a mobile device? Yes, it can. OLED TV and LED TVs produced by Panasonic are smart TVs, which means they can mirror mobile phones and tablets that run Android OS. Simply connect the TV to your mobile device via the same WiFi network to mirror your device. You can also mirror devices wirelessly via the TV's Direct WiFi function. If you only want to mirror your audio, you can connect your Android device via Bluetooth. What are the main features of Panasonic TVs? Hexa Chroma Drive: Instead of utilising a standard three-colour RGB palette, there are three extra colours to help provide natural, authentic images and scenes. High-Dynamic-Range: High-contrast images are made possible with HDR technology. Not only does black appear darker, but also white appear brighter. 4K Ultra-HD: With four times the number of pixels than a high-definition TV, you'll be immersed in movies, home videos, and online content that's been filmed in 4K-quality. Content provided for informational purposes only. eBay is not affiliated with or endorsed by Panasonic.